Your website, MailChimp newsletters and automatic responses, Google Analytics, WordPress website, and GoDaddy web hosting accounts are all interconnected. If you’re like me, you probably hire an expert to help you manage all this. Did you know that you can allow access to others on all these accounts without giving them your username and secret password? Here’s a detailed how-to so you can set this system up for yourself. Once you’ve signed up for your free MailChimp account, open your profile. Get to it by moving your cursor up to the right of the screen where you see your name and image. 1. Click the teeny tiny down arrow and choose ACCOUNT. 2. Now you’re in the ACCOUNT SETTINGS menu. Choose ACCOUNT USERS. 4. Now enter the email address of your helper. You can give them full access (ADMIN) or less access if you want to limit access. Note that I’ve given Danielle (the awesome web pro who helps me with my website google analytics, SEO, and newsletter integration), full access, which even includes billing. But if you don’t know someone well, the MANAGER level should be enough to do most things. 5. Once you’re done, write a little email message to them in the space provided to let them know you’ve given access. Your web pro is going to want to install Google Analytics on your website and connect it to your MailChimp newsletter account. Analytics allow you to gain insight about your site visitors and what they’re doing, what they like, what they ignore, where they come from and what pages they read and for how long. So sign up and start now. You want to funnel them to your email newsletter and your book sales page. When you start learning what they do, you can make changes, tweak, and change again until you see that most people are going for that BUY button. Here’s how to give your web pro access to your account. Sign in (or sign up) at http://analytics.google.com/ and do the following as shown in the screenshot provided below these short instructions. Click the ADMIN MENU from the top menu. Click USER MANAGEMENT from the menu on the left side. Enter the EMAIL ADDRESS of the person you want to grant access. Check ALL FOUR boxes to give all access. Click the box to NOTIFY USER. Great! Now you and your web pro can start collecting data on your website and email newsletter to measure the success of your pages and campaigns. Obviously, you are going to want to give your web pro access to your WordPress website. All you have to do is log in and click on USERS to find or add a new user. You’ll see a list of users – if you have subscribers to your blog this can be really long – so you can sort by user type. Below you’ll see a few of my users, including Danielle who helps me with my site. Click the text under the user’s name to Edit, Delete, or change Membership Permissions. Pretty easy, huh? So from now on, Danielle can access my site, create pages, menus, upload and place pretty graphics and buttons, add a MailChimp email signup form and lots more. Want to know more about users and roles? Visit the WordPress help page on that topic. I’ve used GoDaddy for years and years to manage my domain names and host my web accounts. As a kind of fun aside, a couple of years ago my brother Jeff started working for GoDaddy as VP of Web Hosting and I got to tell him what I wanted improved. I like to think that I had a lot of influence on changes that made their WordPress web hosting so great. I am especially enamored of Managed WordPress Hosting because it’s secure, easy to set up, has automatic daily backups and, at under $5/mo, it’s a total bargain. When an author friend’s site got hacked recently – the day he was on Good Morning America (aaarg!) – I recommended he move to Managed WordPress Hosting, and he did. Yay! But we’re here to talk about account access. I don’t know about other hosting companies but GoDaddy has a GoDaddy Pro account that web pros like me and my right-hand web-woman Danielle can sign up for. If you’re using GoDaddy, I can add you as a client, and you’ll get an email from GoDaddy that lets your confirm that I can access your account. From then on, if they want me to do something on their site – change metadata or edit a post, for example – they just tell me and I log in to my account and click on their name and, voila! I’m in! Here’s a screenshot from GoDaddy that shows the screen that your web pro will see. Each rectangle leads to a customer’s website. GoDaddy Pro has special customer service, too. I’ve been using it for a couple of months now and love it. My author clients don’t really know much about it, nor do they have to. Some authors want me and Danielle to handle everything, others want to tinker with their own sites, but when they get stuck, email me to take care of the hard stuff. Oh… and it’s free! Are you a web pro? Sign up for GoDaddy Pro Beta here. Got other solutions? I’d love to know. Please tell me in the comment section below. I hope this post helps motivate you to use these tools and ask for help from pros who can get you more readers by finessing your website and associated products. It’s important to keep your personal data personal, even if you trust the folks you work with. In some cases it’s not possible, but more and more services are offering this ability. Are there any services I’ve missed? Web hosting companies besides GoDaddy who have a Pro tool that you like? I’d love to hear about them in the comments below. Hey, do you get my email newsletter? I give away a lot of great tips, free advice, links to tools, and updates to my Self-Publishing Boot Camp Guide for Authors, now in its 3rd edition. Also send me the free self-publishing basics email course. Carla King is a travel and technology writer turned author and self-publishing expert. She started self-publishing in 1995 and founded the Self-Pub Boot Camp series of educational books, workshops, and online courses in 2010. She runs the self-publishing and technology track at the San Francisco Writers Conference and a series of online courses at www.selfpubbootcampcourses.com. Got questions? This guide's got answers. 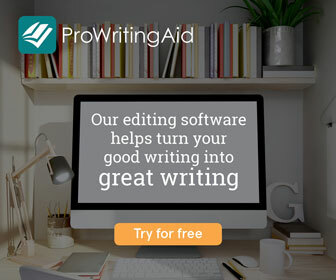 Find reviews of over 170 products, tools, and services for authors. Subscribe for self-publishing news you can use, freebies, discounts, and important notificatinos.